For the amount of money firms spend on travel, surely they’d like to know the impact. There is an incredibly practical – and pretty easy – way to answer this question. Forget about ROI – it’s too theoretical. 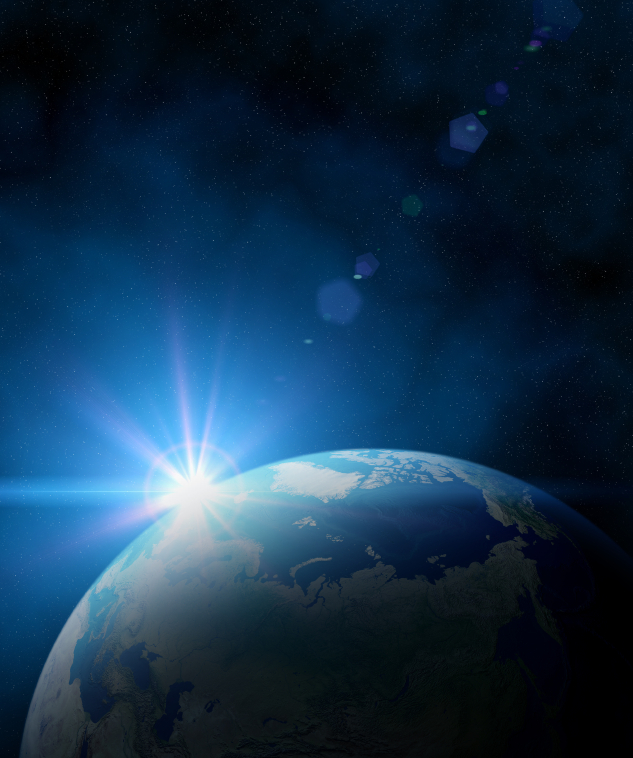 Skip Big Data – it’s irrelevant. Instead, focus on what matters and what’s measurable. Think about the issue this way: At what point is too much travel counter-productive? Spend too much time on planes and you’re not selling. Cross too many time zones and you’re not giving clients such good advice, or making such good decisions on that oil rig. Take too many redeyes in coach and you’re seeing a doctor for a cranky neck or worse, deep vein thrombosis. It’s about cause and effect; travel and impact. So the approach is simple. First, identify the road warriors in your firm, and their business unit leaders. Ask those business unit leaders which business metrics matter, and might be affected by too much travel, and are measurable. Think sales, hours billed, customer satisfaction, safety, etc. 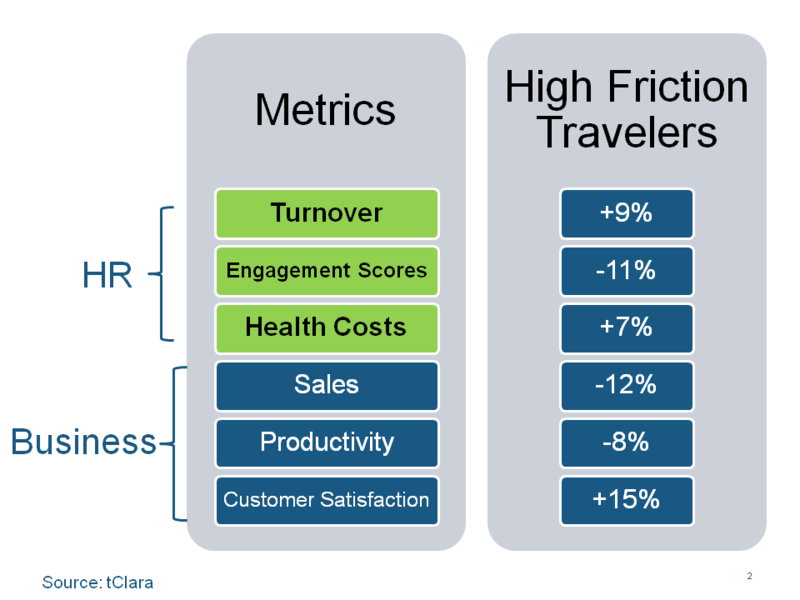 Go to HR, and ask which HR metrics matter, and might be affected by too much travel, and are measurable. Think absenteeism, engagement, disability costs, retention, etc. Now use your travel data to find a comparable group of employees that has done much less travel than your road warrior group. So now you have a cohort of low-travel employees and a cohort of high-travel employees. Voila! You now have a fact-driven analysis of travel’s impact. The impact on your business, and the impact on your people. The implications will be clear. Too much turnover, absenteeism and disability costs among your high-travel group? Cut back their travel workload and/or loosen your travel policies for the road warriors. No meaningful differences between the two groups? Your travel policies are probably fine, but then what is all that extra, possibly excessive, travel really doing for your firm? Either way, having these facts gives travel managers, HR executives and business leaders a clear-eyed view of travel’s impact. Making solid business cases for changing travel workloads, travel budgets and travel policies is now ever so much easier. The best part? Travel category managers get to lead on this issue. For you folks that are frustrated by delivering diminishing returns from mature sourcing and policy compliance, you should be first in line to drive this type of study in your organization. For those interested in jump-starting a travel impact study, tClara and I can help. We can quickly score your travelers’ Trip Friction™ levels, create the cohorts, and benchmark your firm’s travel intensity to those in our database. I’ll be at the ACTE Global Conference in Miami at the end of this month, and hope to connect with many of you there. Want articles like these delivered to you by e-mail? Sign up here. It’s free, and you can unsubscribe at any time. This entry was posted in Metrics and KPIs, Sustainable Travel, Travel Management, Travel Policy, Traveler Friction and tagged travel impact study, travel program benchmarking, Travel ROI, trip friction. Bookmark the permalink. I’ve had a chance to preview some of these outputs – definitely a worthwhile study as it creates many “ah-ha” moments that would be great to take to senior management and HR! Really like this thinking. Can you also consider productivity time on airplanes as many executives and also general workers do put in extra hours during flight time which is a productivity gain for employers? How do we measure the true impact on travel? Great analysis which makes sense. HR is very often too distant from from the business and not included is sales policies and business decisions. This does not apply to all companies however where it does it is 50/50 as to why the communication is not better with key departments. Interesting concept. Do you consider short term or long term consequences of frequent travel in your ‘friction’? Some issues seem a little soft, cause discomfort but are hard to quantify. Sarah, could you describe a bit mre what you mean by “short or long term consequences of frequent travel”? There is a study that shows higher health care costs associated with frequent international travel…is this an example of what you have in mind?